An eye-opening exploration of the life and legends of America's Great Emancipator. 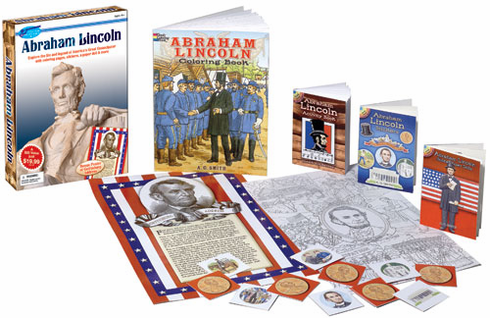 Abraham Lincoln Coloring Book. 19 stickers. Paper doll with 30 costume stickers. Over 40 different puzzles. "Concentration"-style memory game. "Gettysburg Address" poster. 11 x 17 Color Your Own poster. Crayons.